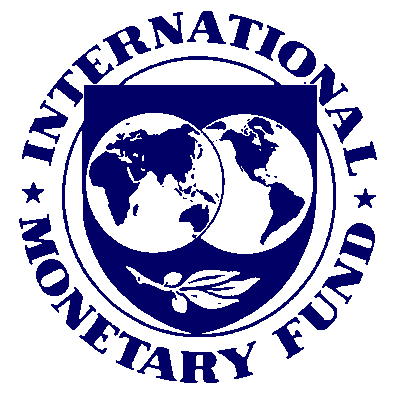 In its latest World Economic Outlook, the IMF reports that the global economy is bouncing back. The poorer economies are leading the recovery. Conditions in the rich economies are much iffier, slowed down as they are by “lastingly damaged” financial sectors and household balance sheets; meaning that the banks are still financially weak and households — especially the households of working people — have a lot of debt (mortgage, car, consumer, student, etc.) compared to their perceived ability to repay it. In the longer term, the rich countries need to reform their financial sectors (and the finances of working people need to improve significantly). In the short term, their recovery hinges on their maintaining easy money and aggressive public spending. Yet a recovery of this kind is “subject to downside risks as fiscal fragilities have come to the fore.” Rich countries — the IMF suggests — are between the rock of holding easy money and aggressive public spending and the hard place of showing creditors public debt is under control and, hence, repayable. Paul Krugman has noted that part of the problem lies in the chicken-and-egg nature of public solvency. The public debt of rich countries looks scarier to the financial markets, because the recession threatens to permanently reduce the long-term potential of the economy (and, consequently, the public finances). Now, to avoid this permanent damage, aggressive fiscal policy is called for. Historically, to a varying extent in different contexts, serious bouts of indebtedness (public or private) have been resolved by further economic growth, which has usually required substantial public spending. This is, for example, again to some extent, the experience of the U.S. in the postwar period. Another illustrative case I’m most familiar with is Mexico, after six or seven years of depression as a result of the 1980s debt crisis. In spite of the enormous sacrifices imposed on Mexican working people to service the debt (made onerous by Paul Volcker’s monetary brutality after taking over the Fed in 1979), public debt in the late 1980s remained above 50% of GDP (which, at the time, was very scary). It wasn’t until serious public and private spending boosted by the prospects of the North American Free Trade Agreement in the early 1990s that the debt shrunk to 25% of GDP (later on, the Tequila Crisis of 1994-1995 reversed this trend temporarily). But we should not stop here. A key issue for working people trying to understand the scope of possibilities for political action is being glossed over (or not fully spelled out) both by the IMF and Krugman. And that is the fact that, historically, there has been another decisive mechanism slashing the debt to “manageable” size — namely the redistribution of public (and private) debt holdings from creditors to debtors! Again, historically, this redistribution has been carried out via outright expropriation, debt repudiation, “renegotiation,” taxation, inflation, etc. In other words, it’s resulted from (1) direct deals between debtors and creditors benefiting the former at the expense of the latter, (2) taxing the debt holders and spending in ways that benefit the debtors (e.g. public investment, job creation, unemployment insurance, etc. ), (3) pumping money into the economy, or some combination thereof. In the case of Mexico’s 1980s debt crisis, gangster president Carlos Salinas managed to get the debt reduced by 20% after threatening the banks with default. In the case of postwar U.S., my impression is that inflation accomplished this to some extent. Again, Krugman has often alluded to this process on his blog, although without exploring its implications. Furthermore, it has been amply demostrated by empirical study after empirical study that inequality, both international and domestic, is a persistent source of economic instability. Clearly, the still ongoing global financial and economic crisis owes much to the tremendous increase in domestic inequality (in the U.S., Europe, China, etc.) that preceded it. Hence, wealth redistribution accomplishes two positive goals: (1) it resolves the debt issue in the short run and (2) it creates conditions that stabilize the economy in the long run. Some qualifications are required. The rich and the debt holders are not necessarily one and the same class of people. There are large institutional investors, with seizable debt portfolios, that manage the pooled pensions and retirement funds of working people. There are also highly exposed sovereign wealth funds that manage the public foreign-exchange reserves of entire nations such as China. Leaving aside the extent to which these funds are managed for the benefit of working people, a redistribution of debt securities would have to take these issues into consideration. We don’t want the remedy to backfire on working people, in the U.S. or abroad. Is there a downside to wealth redistribution? Potentially, yes. Rich people will freak out. They always do when their supposedly sacred ownership rights are violated — although, as I’ve noted before, the existence of ownership rights is inevitably self contradictory, because ownership rights are unthinkable without governments to enforce them, and the existence of governments necessarily implies the allocation of resources outside of markets (taxation and public spending). The question, then, is not whether but to what degree. Is this a likely course of action? I do not know. The answer — I guess — is, “It depends.” How likely is in each particular context for a government to take action under sufficiently strong popular pressure? But my point here is not to forecast the course of political events, but to show working people interested in educating themselves on these matters that the public debt issue is not a natural phenomenon, but an entirely social construct that working people acting in concert can alter or even dismantle. To repeat myself: It is a class struggle and, for a change, working people can win it this time around! As working people are employed to use natural resources and their own skills to produce all the wealth we see around us, it seems obvious to me that if one wants to keep ‘the economy’ going, one has to get a whole lot of that wealth back into the spending habits of the wage-slaves who produce it. Otherwise, ‘the economy’ suffers from ‘insufficient demand’. Finance capos, of course, lend their liquid commodities to industrial capos and landlords so that interest can be collected. The problem is that these finance capos want more interest in return for their lending than can be gotten through wage-labour, unless wage-labour is forced to accept a lower standard of living i.e. wage/benefit/public service cuts. Once finance capos get their way, ‘the economy’ stagnates and markets dry up as wage-slaves are the market and with a lowered standard of living, they will not be able to make the purchases necessary for profits to appear in the industrial capos’ balance sheets. The way out of this absurd situation is for workers to become conscious of the fact that they’re producing the wealth and they are entitled to all of it. That point is not being made by most of the left thus, the workers remain befuddled, looking on high for someone to save them when the reality is that they can only save themselves through class conscious praxis.